So many people suffer from anxiety, not only in the US, but all over the world. It has plagued the world population, but new research shows it might be a vitamin deficiency! 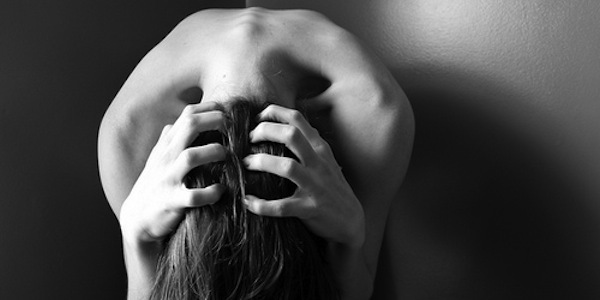 There are about 3.3 million American adults suffering from anxiety and anxiety disorders. Although it is normal to experience anxiety sometimes, but not if it is a daily struggle. Anxiety disorders are the most common form of mental illness in the United States. Modern day pharmaceuticals are only making it worse too. However, Elisa Black has discovered something amazing! “My anxiety has destroyed relationships, clawed at my insides until I was sick, left me cowering under blankets, plagued me with panic attacks and tipped me into post-natal depression following the birth of my first son. I was nervous from the beginning… At 25 I had to move back home with my parents and didn’t leave my room for three months, convinced that I would die if I did. For more than a decade, I have sought a cure. Some things have helped for a while, others not at all, and always anxiety was there in some way. I’ve doggedly practised yoga, meditated morning and night, exercised feverishly to try and get rid of the adrenalin coursing through my veins. I’ve sought solace in wine and avoided anxiety-inducing situations to the point of agoraphobia. And, for the last year, my anxiety has edged ever closer to depression, as I berated myself for not being good enough to beat what so many seem to view as a personal failing, something I should be able to control if I just tried hard enough. Yet today my beast, finally, is a paper tiger, a tiny shadow in the corner of my heart. It wasn’t drugs or therapy or deep-bloody-breathing that finally slayed it though. It was a vitamin. For years, decades, I was looking outside for the answer, when I should have been looking inside all along. Looking at my genes. Because it turns out I have a genetic mutation on one of my genes, one with the rather apt acronym MTHFR. The result is that my body has trouble processing B-group vitamins. But here’s the thing: I am far from being alone. The genetic mutation also affects close to one in five people and could be responsible for everything from mood disorder or multiple miscarriages to strokes, cardiovascular disease, diabetes and many other illnesses. And the good news is that the potential treatment — folinic acid — is cheap, relatively easy to find and side-effect free. The distinction between folinic acid* and the common dietary vitamin, B9 or folic acid, is an important one. Variations in the MTHFR gene mean I am unable to convert folic acid into a form my body can use — folinic acid — easily. That, in turn, can lead to a Pandora’s Box of health problems. Stirling’s Dr Andrew Owen has been listening to me bang on about my anxiety for more than 10 years. I first saw him after 12 months of virtually constant panic attacks had stripped 10kg from my frame, caused relentless insomnia and had driven me home from a life overseas, having left a relationship in ruins and on the edge of a nervous breakdown. He helped me tone down my more manic side with drugs and psych referrals but anxiety had never entirely left me, ready to rear its ugly head in times of stress or when the kids get sick and I suddenly think that weird rash is smallpox (modern eradication be damned) or in the small hours of the night when the tiniest thing can seem like the gravest catastrophe. Six months ago he suggested I, along with many of his patients, be tested for a MTHFR variation. Aware of research in the area for the last six or so years and the benefits that had been observed from taking folinic acid, Owen conducted his own specific research before deciding to see if it could help others.